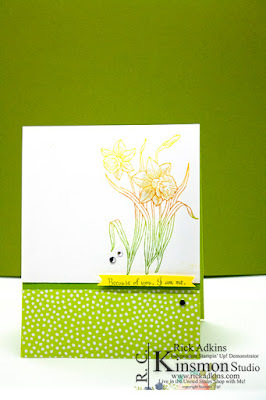 Hello and welcome to my blog; today I am going to share with you my card for this weeks Paper Craft Crew Challenge. This week we have a super fun sketch for you that will make you feel excited. 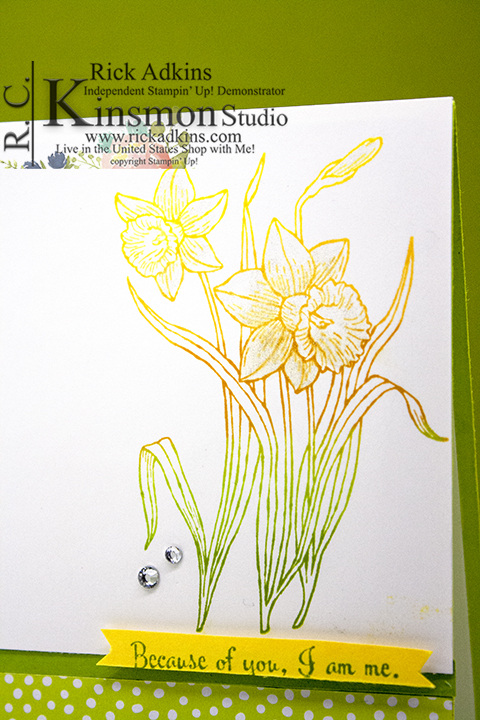 Today, is the first day of Spring so I thought it was perfect to share with you a card featuring daffodils, and my custom ink pad that I created using one of the uninked Spectrum pad. Here's my card that i created using this weeks sketch. Here's the sketch that inspired this card. You can visit the Paper Craft Crew's site by clicking on the sketch and play along and/or check out what all the other design team members came up with. 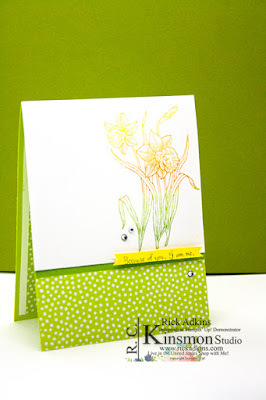 I stamped the main image on a piece of whisper white cardstock and added it to the top of the card. 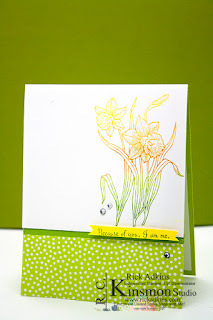 I stamped the daffodil image from the You're Inspiring Stamp Set from the Stampin' Up! 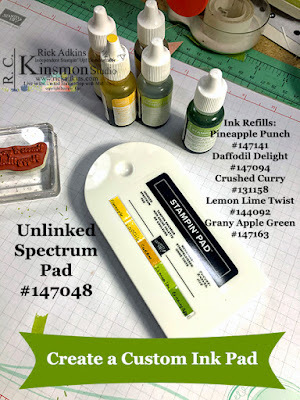 Annual Catalog using my custom Spectrum ink pad. 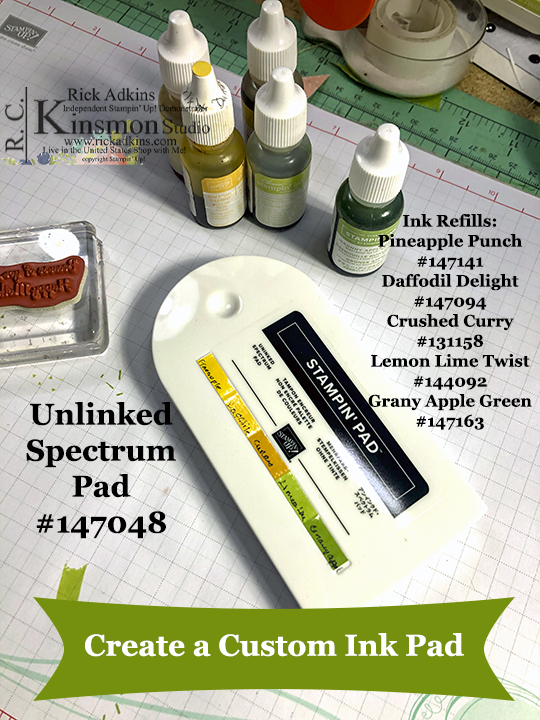 I absolutely love the spectrum pads I always have. There's just something about creating your own custom pad that is so rewarding. I hope that these pads stick around for a while. 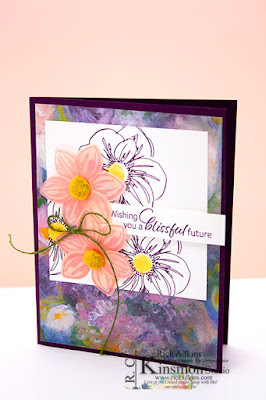 It's so nice to create a custom blend for any group of colors that you adore. 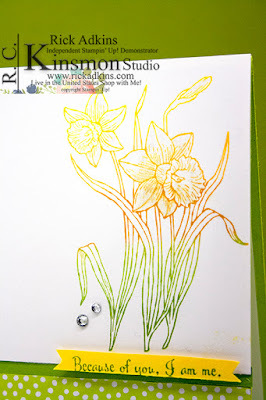 I am telling you that there's nothing like having your own custom ink pad filled with your favorite color combos. 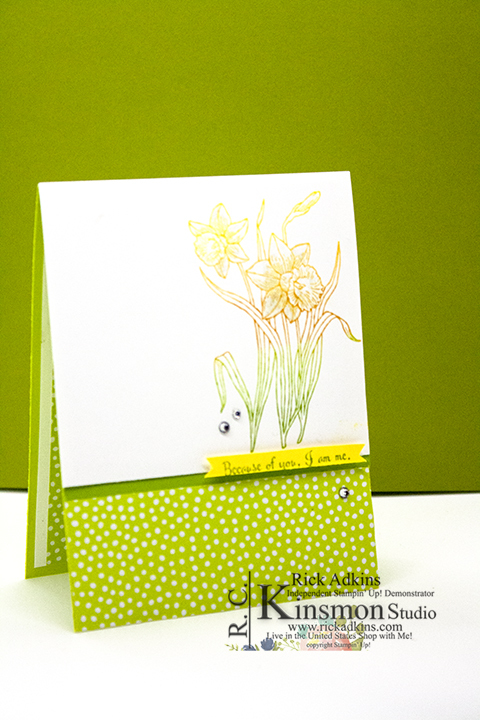 Here's a closer look at the stamped image at the top of my card. 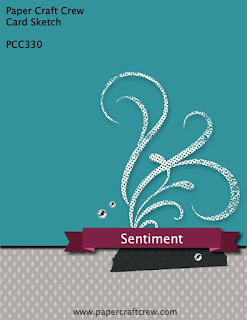 I wanted to let you see the wonderful beautiful images that you can get with these types of pads. Thank you for dropping by today, and remember that if you need any of the supplies you've seen today you can order in my online store 24/7. If you wanted to add a little more sparkle to your card you can add a little wink of stella to the stamped image. 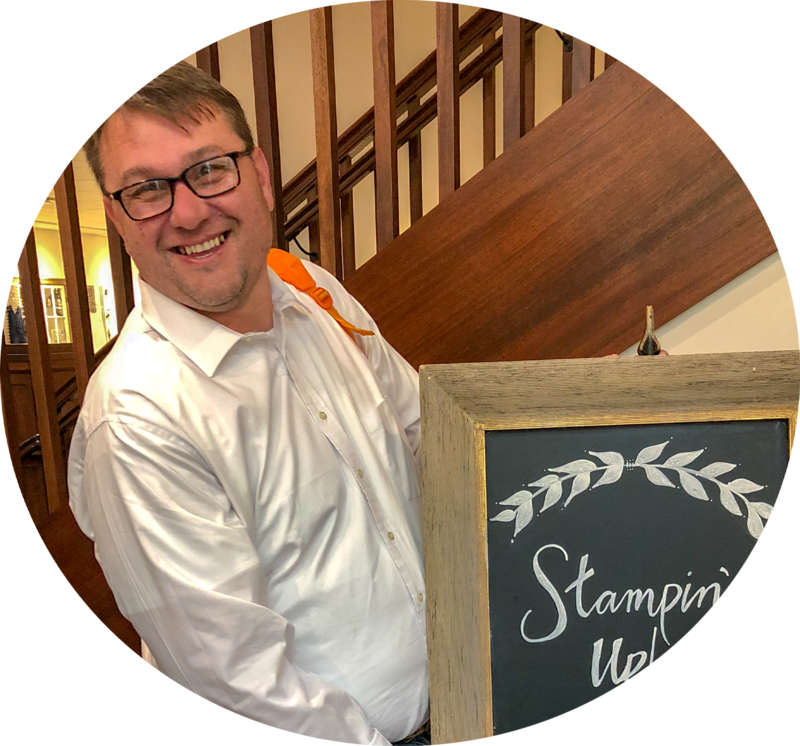 Spend $50.00 (before taxes & shipping) in my Online Store using the current host code during March and get two PDF tutorials sent to you starting the 20th of the month.